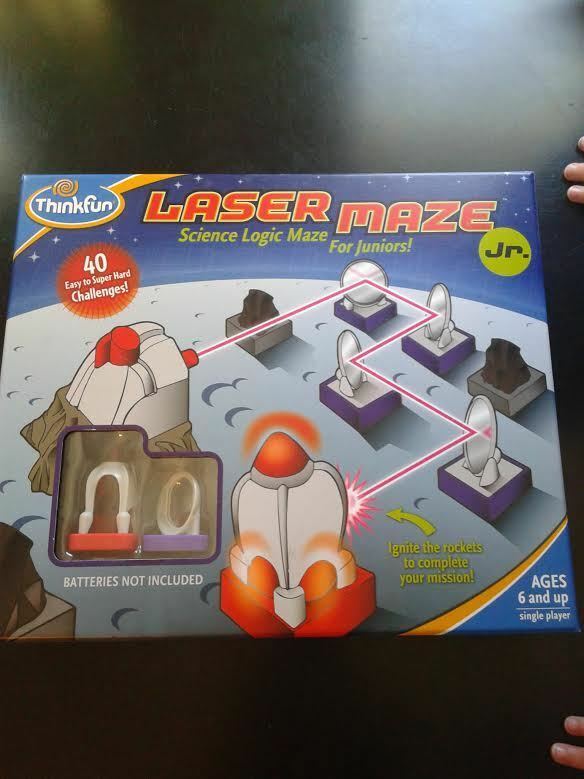 >> Help Your Child Develop Thinking Skills with Laser Maze Jr.
Help Your Child Develop Thinking Skills with Laser Maze Jr.
One thing I have been wanting to spend more time on in our homeschool is helping the kids to work on thinking skills. I have one child in particular who will give up as soon as they have to think too hard about something. I needed to figure out how to stretch this child’s “thinking muscles” in a way that would not be a battle of the wills between us. I needed to help this child want to exercise those muscles. 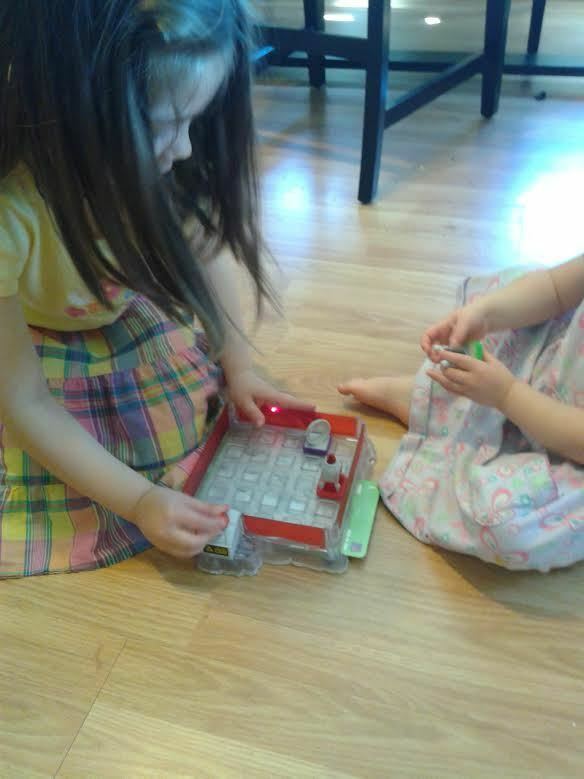 When we had the opportunity to review the Laser Maze Jr. from Timberdoodle, I knew it was the perfect thing! Disclosure: we received a free game from Timberdoodle. As always, all opinions are 100% my own. 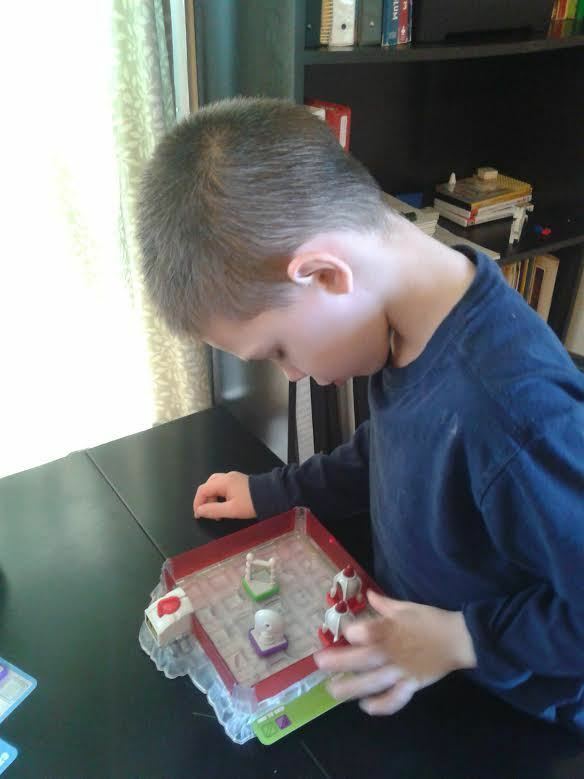 Laser Maze Jr. is a fun game, but you can’t win it unless you put in a little brain power! 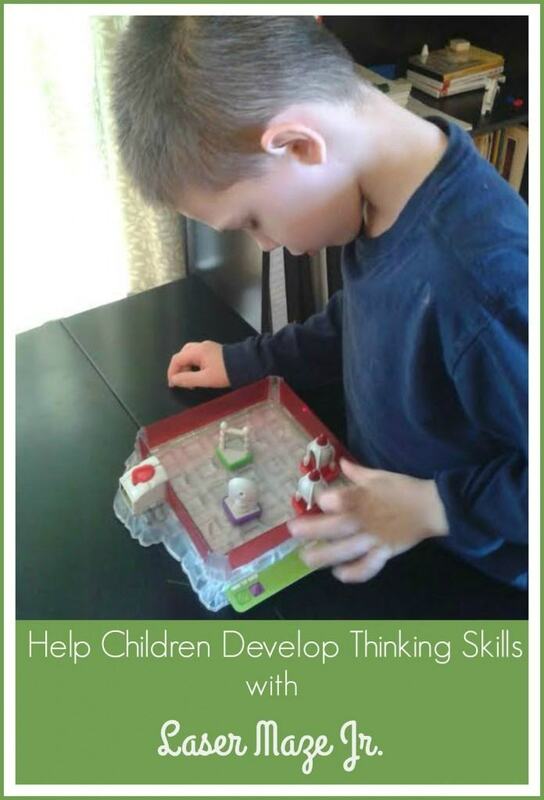 It can be played independently – this makes it a perfect activity for the kids to do on their own while they’re waiting for their siblings to finish an assignment. It is designed in progressive levels – each level is a little harder than the last. This is nice because my youngest children can work on it without feeling like it’s impossible, but there are hard enough levels to challenge my older children too. There is no way to win the game without thinking. You can try to guess at the right answer, but it will just end up taking longer to figure it out! You might as well put in the brain power! I can’t think of any reason to dislike this game! It is affordably priced, and it has been a really good solution to one of my biggest homeschooling frustrations. The game board comes with a slot where you slide in a grid. The grid shows through the bottom of the board and tells where the different elements need to go for that level. As the levels get more difficult, more rockets are added, as well as additional mirrors and even rocks to block the path of the laser beam from reaching the rocket. My husband pulled out the hardest level (Level 40) just to see how hard it would really be. It wasn’t super challenging for a grown man who has a very strategic brain, but it did take him a few minutes of thinking to come up with the right solution. It will definitely take lots of practice for the kids to work their way up to that level, so I know we’ll get a ton of use out of the game. Check out Laser Maze Jr. at Timberdoodle here.